Dressage Markers Set. 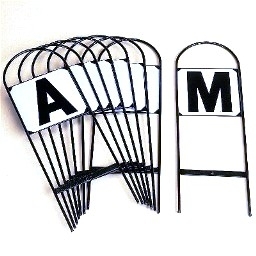 Eight steel hoops with the following letters. A B C E F H K M.